Specifically it’s quagga and zebra mussels that we’re preventing from entering our province. That’s why on BC’s roads you might see signs for watercraft inspection stations.If you are transporting a watercraft in B.C. 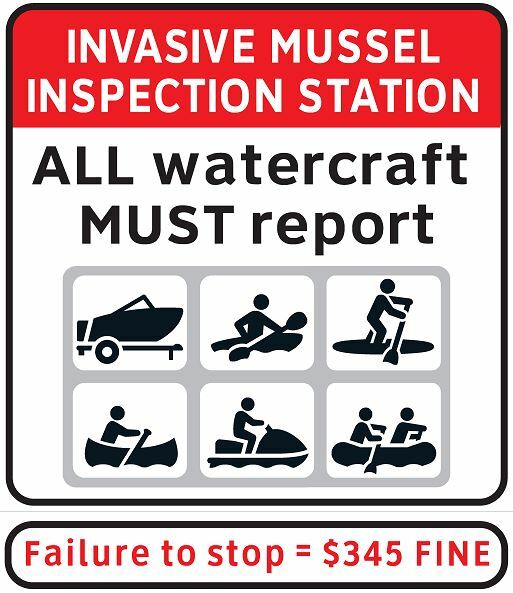 it is a mandatory to stop and report to all invasive mussel watercraft inspection stations along your travel route. Watercraft includes sailboats, motorboats, car toppers, kayaks, canoes, and paddle boards being transported in B.C. The B.C. 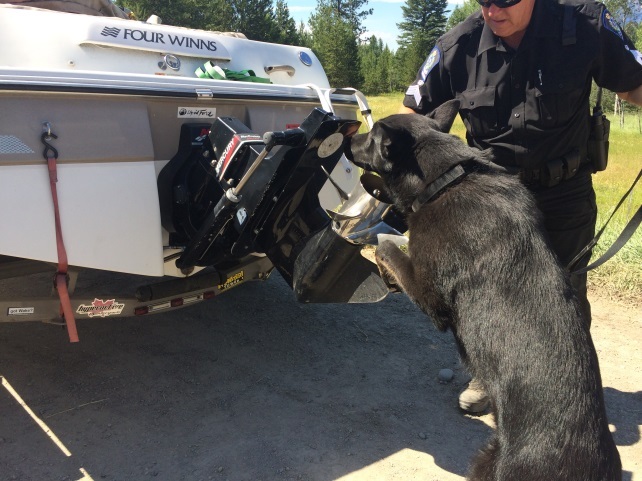 Conservation Officer Service has a team of specialized inspectors checking and if necessary decontaminating watercraft being transported into B.C. Invasive Mussel Defence uses K9 to detect mussel invaders. If it floats, the B.C. Conservation Officer Service wants to take a look. Why all the fuss over these little guys? These small, freshwater mussels can wreak havoc if they get into our province. If your watercraft has been in a province or state with mussel infested waters, the invaders can (unbeknownst to you) hitch-hike into BC, by attaching to your boat, boat trailer, boat motor or other equipment. Please do your part by cleaning, draining and drying your boat. Anyone who transports a boat into or within BC needs to clean the boat, trailer and other equipment by completely removing aquatic animals, plants and mud; draining all water out of bilges, ballast tanks, engines or live wells, and; ensuring their boat is dry. If you’re bringing a boat to B.C. 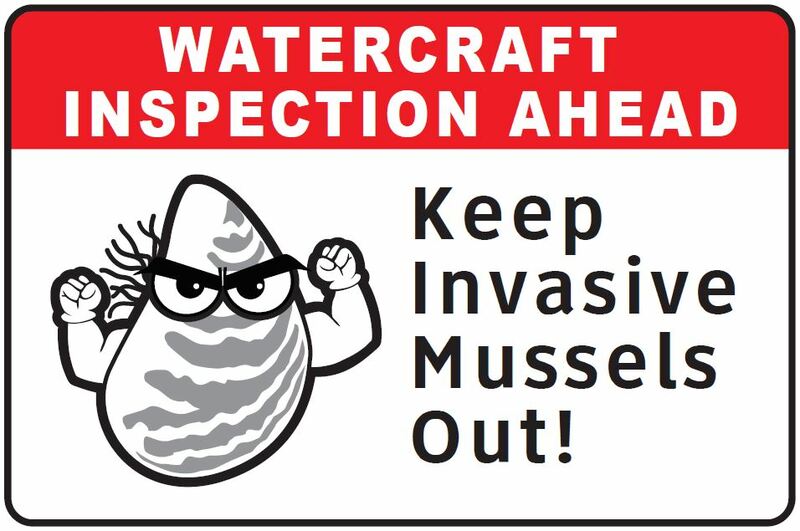 from out-of-province, contact the Invasive Mussel Provincial Program at COS.Aquatic.Invasive.Species@gov.bc.ca to determine if your boat is HIGH-RISK and should be decontaminated for possible zebra or quagga mussel presence before accessing BC’s lakes and rivers. It’s free! Do not launch the boat into any B.C. waters until you have received instruction from a B.C. Provincial Aquatic Invasive Species Inspector. And when you see a watercraft inspection station and your boat is aboard, pull over as you are required by law. Tickets are being issued to motorists for failing to stop at a watercraft inspection station. And by the way, failure to clean mussels off boats or equipment could result in a fine of up to $100,000. Join the defense and keep these dastardly invasive mussels out of our province! We have also updated our new maintenance contracts to include a requirement for maintenance contractors to inspect freshwater bridges and culverts for invasive mussels (while conducting other inspections) and report any signs of mussels if found. More eyes out there working to keep BC Mussel free! 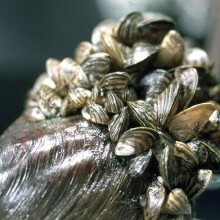 Quagga mussels and zebra mussels were introduced from Europe into Canada and the U.S., in the 1980s. Since then, they’ve spread in Ontario and Quebec and are now found in 24 American states, including California. In October 2013, zebra mussels were discovered in Lake Winnipeg, Manitoba. Zebra and quagga mussels can survive for several weeks without being immersed in water, if they are in a cool and moist environment. 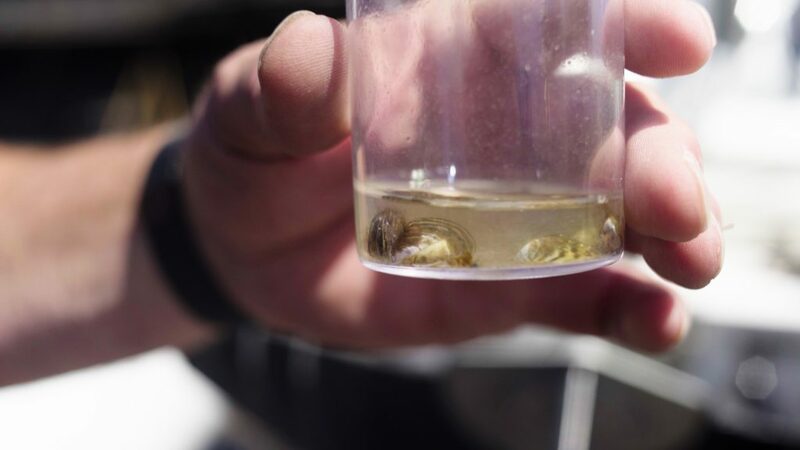 Tiny mussel larvae can float undetected in live-wells, pumps, bilges, bait buckets and other fishing gear, surviving for several weeks. This is how they transfer from one body of water to another. Learn more about zebra mussels (Dreissena polymorpha) and quagga mussels (Dreissena rostriformis bugensis). Hello Robert – we have sent your comment to the local area manager for review. Thanks for connecting with us here. The inspectors report watercraft that fail to stop at the inspection stations to the Report All Poachers and Polluters Hotline (RAPP) for full time conservation officers to respond. What is being done about invasive mussels that are already established in Lakes? We have sent your question to our environmental team for review and reply. Stay tuned! Our environmental crew has informed us that we are lucky in BC that we don’t have any lakes with invasive mussels! 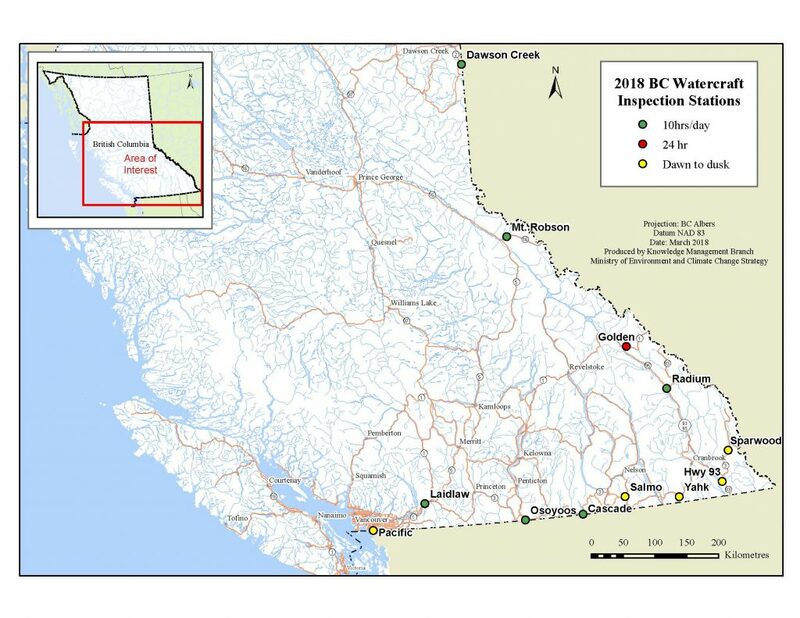 That is why we are going to such a big effort to prevent them from arriving in BC by educating the public, conducting mandatory boat inspections, and decontamination for boats with invasive mussels on them. We work closely with other provinces and states as well on preventative efforts.